When the Greenville County school board decided to merge Simpsonville, Mauldin, and Fountain Inn High Schools into one school, the project created some interesting challenges and experiences. Each school had a character of its own and now they were asked to blend together as one. In our February edition we relayed some of the examples of Fountain Inn High School experiences and traditions that were changed forever. 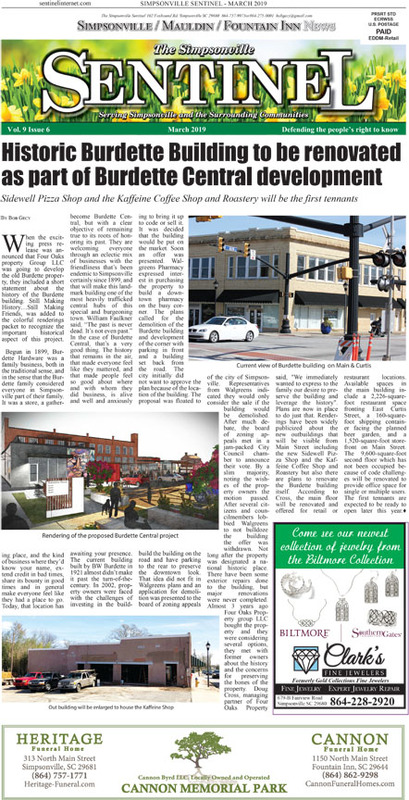 The Fountain Inn article was presented with the perspective of two students recalling the last graduating class of Fountain Inn High School. The story was in addition to the front-page story that documented the plans to build the new Fountain Inn High School planned to open in the fall of 2021. The articles were a hit, both in the paper with our readers and with our online version, www.sentinelinternet.com The website garnered over 5000 views and several thousand Facebook shares. Realizing the popularity of recalling special events in the schools led us to consider sharing experiences from both Simpsonville and Mauldin High Schools as well. Connie and Bob Gecy with Sybil Martin Todd – We had a delicious dinner and a wonderful visit with Mrs. Sybil Martin Todd at Tucker’s in Anderson! She shared so many good memories with us for our Simpsonville High/ Hillcrest High story! Our article about Simpsonville High School shares information from another perspective. We asked two former teachers to document life at the old Simpsonville High School and the first years at the new building at the crest of the hill: Hillcrest High School. Miss Sybil Martin Todd and Mr. Bill Moody graciously accepted the challenge to share with us their thoughts and experiences. Each week there was an assembly for all students, grades one through 12. Classroom teachers were responsible for a Chapel program one time during the year. Also, seniors enacted a play each year under the leadership of Miss Lois Abbott, Senior advisor. These were outstanding performances!”, Mrs. Todd commented. “When Hillcrest High School opened, the road at the back of the school was not paved. MO would drive by to pick up several other teachers and we would slosh through the muddy road to get to school. On occasion, a school bus would be stuck in the driveway.” Mrs. Sybil remembered. The foregoing information is as I recall it! If there are errors, my apologies. Bill Moody grew up in the Greenville area and has always been involved in sports. He excelled both in baseball and in basketball. 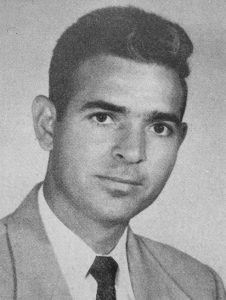 He was a college basketball player at Wofford College and a minor league ballplayer for the Brooklyn Dodgers and the Philadelphia Phillies. 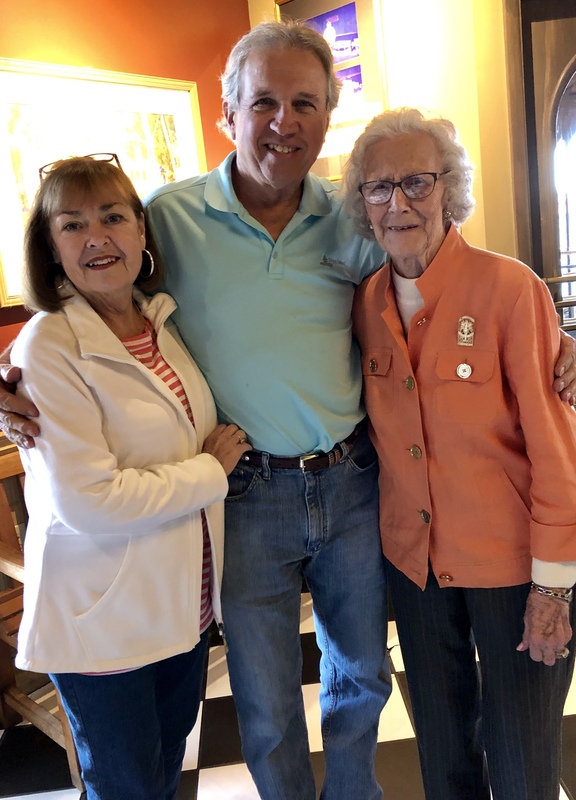 After a tour in the Navy during World War II he came home to Greenville, played a few more years of baseball for a local mill team where he was hired as the assistant athletic director. In 1955 he was hired by Greenville County schools to be the athletic director at Simpsonville High School. 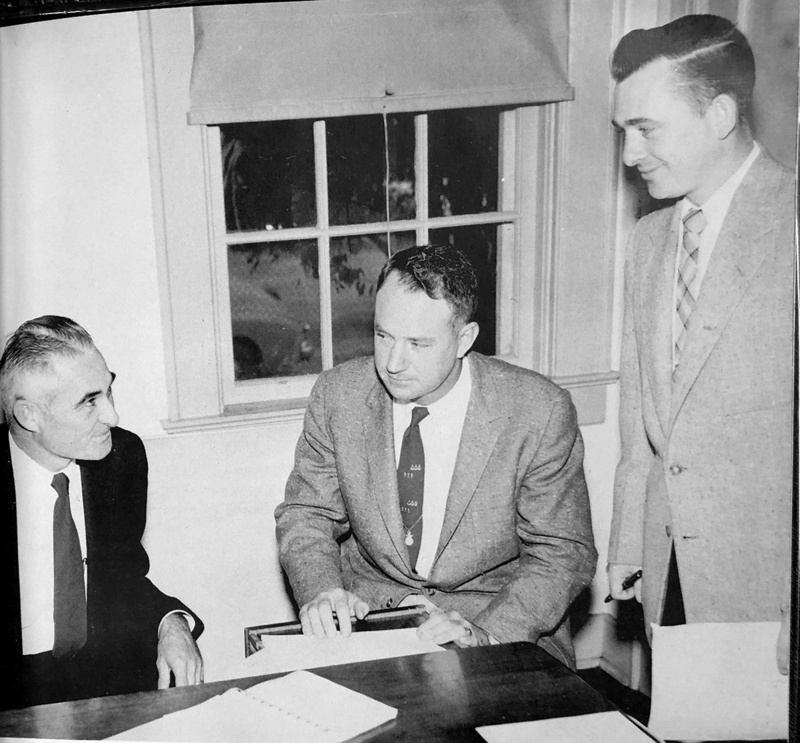 “When it was decided that Simpsonville, Mauldin and Fountain Inn were to merge into one school several challenges arose. How are we going to blend three rival schools into one? Classroom assignments were one challenge, but my interest was how we were going to merge sports teams.” Moody said with concern. “The just completed new school had its own challenges. I remember the road into the school from Main Street was not paved. School buses used to get stuck in the mud on rainy days and students had to be excused for tardiness. When we moved in that first semester, the new school wasn’t finished. The gym floor wasn’t in and it was challenging to teach Physical Education around the construction.”, Moody said with a grin. “All in all, the faculty and staff overcame the challenges they faced, and students from different parts of the county merged into one fantastic high school. Hillcrest High School celebrates over 60 years of excellence. I was proud to be a part of its heritage!” Moody proclaimed. I think we succeeded in our goal to recognize the old Simpsonville High School and a few moments of the transition to the new Hillcrest High School. These two great educators went on to share their talents with many students and athletes at Hillcrest High School. It was a pleasure and an honor to have learned so much of their careers and to become their friends. 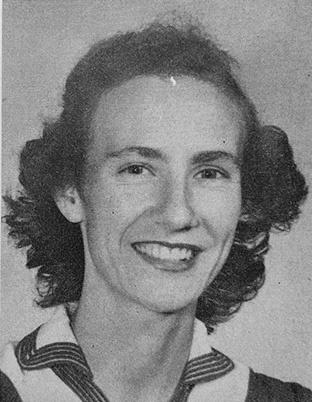 Connie was a student of Miss Sybil Martin at Hillcrest and always spoke highly of her as a special and caring teacher. Bill became a friend after we did an article about him having his ninth hole in one at the age of 90 and we played golf together! It was a great experience! He still regularly plays golf and shoots in the 70s. This article and some past archived articles can be found @ https://www.sentinelinternet.com. Enjoy!